Set up as a family run business in 1996, Fitzpatrick International is a dedicated and exclusive international exporter, chosen for their integrity, energy and commitment. We operate worldwide and offer a professional service to both suppliers and customers who are seeking to expand their international presence. Between us we have more than 85 years of experience in the bakery industry and have been directly linked with major UK bakery manufacturers for over 35 years.  These manufacturers are suppliers of brand and private label to both UK and international supermarkets. We work closely with a select number of brand owners to sell and promote their British products throughout the world. We provide a professional service for the benefit of our retailers, distributors and brand owners. Contact a member of our sales team to find out how Fitzpatrick International can help grow your business internationally. You’ve probably heard of some of these supermarkets, who we’ve worked with by supplying both branded and private label across a variety of categories. We are the business of choice for premium and innovative products in the international market place. We are chosen for our continually evolving knowledge, flexibility and expertise. We are trusted to provide a quality tailored service. We work in partnership to achieve profitable growth for our customers, partners, and suppliers.